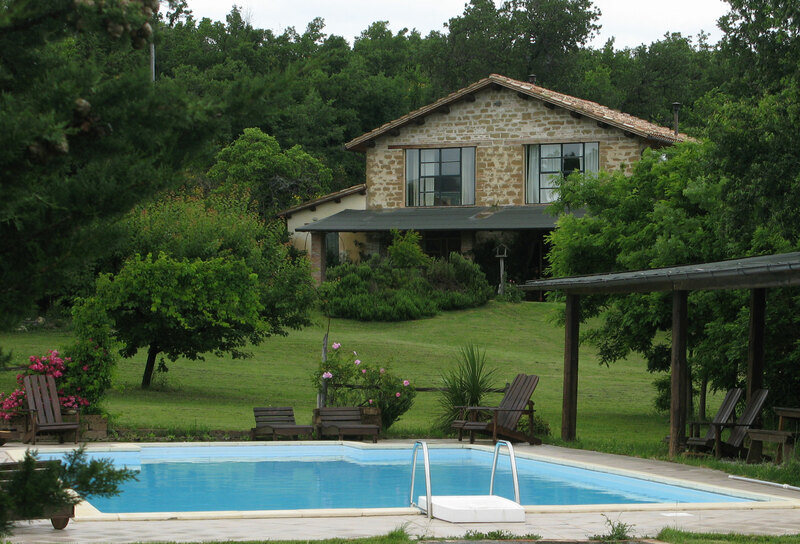 Agriturismo with Cooking courses in Le Marche, cookery Holidays Italy. A beautiful venue in the heart of central Italy, with all comforts, wonderful accommodations, young, friendly and informal atmosphere, restaurant with excellent kitchen, large swimming pool surrounded by a park with woods and fields and with spectacular 300 degree views of the strolling hills and the Sibillini Mountains, a stunning views of the Italian landscape. 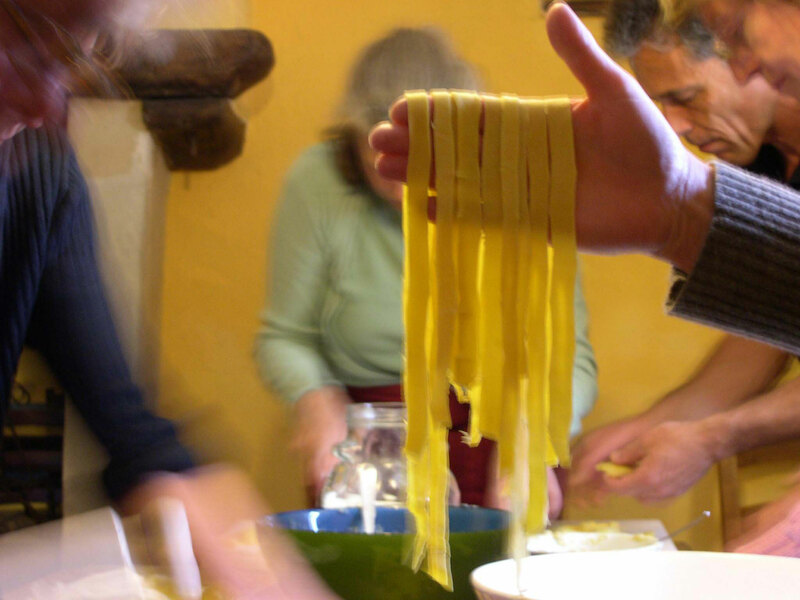 Discover Italy through an hand-on cooking course, enjoing italian sun in a relaxing and informal atmosphere, in a fantastic location with fun and new friends. 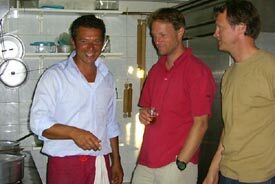 The cooking classes are held in English, by your Italian chef and host Ennio Barbieri and his friends. Behind his joking and informal attitude hides an enormous source of knowledge and information that satisfies both the lover of the Italian Kitchen and the professional. He is an active member of the Slow Food association, researcher of ancient traditions, receips and alchemy. Everyday a cooking course, excursions to local markets to buy the ingredients, picking aromatic herbs and vegetables from the kitchen garden, wine tasting and lectures. Italian cuisine is inseparable from the Wines and the vineyards the markets and the medieval villages, the landscape and the climate and Marche is the perfect place to experience the real authentic Italy. 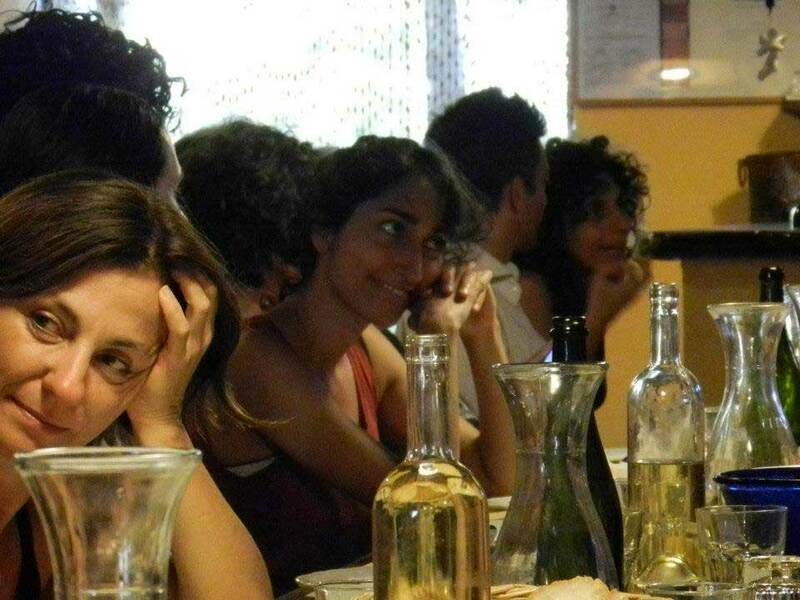 Italian hands-on cooking classes and dinners based on regional recipes at the Caravanserraglio restaurant. A series of lively and informative background lectures on the Italian Kitchen and Italian wines. You will learn directly from an Italian Chef about gastronomic delights such as Truffle, porcini Mushrooms, fresh pasta, gourmet dishes and much more. Visits to various local wine cellars where Vernaccia reds have gained the prestigious DOCG title in Italy. 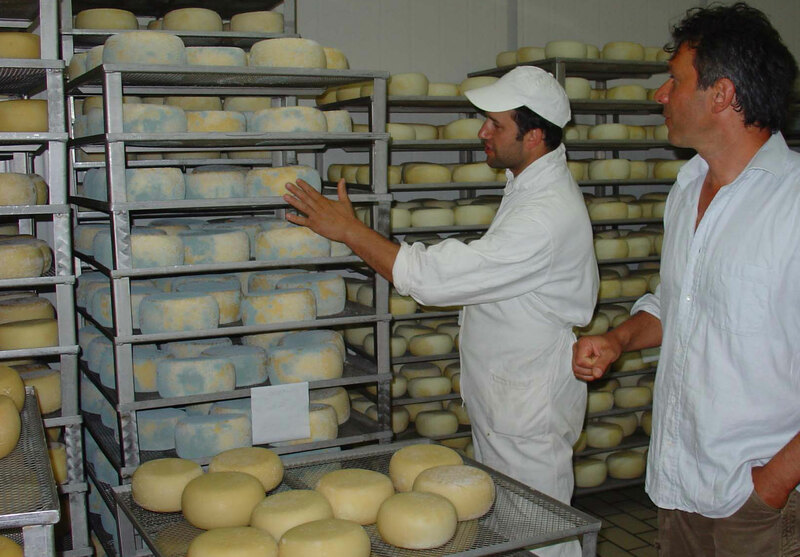 Visit to local pecorino cheesemakers. Demonstration of the making of mozzarella cheese, ricotta and pecorino cheeses. 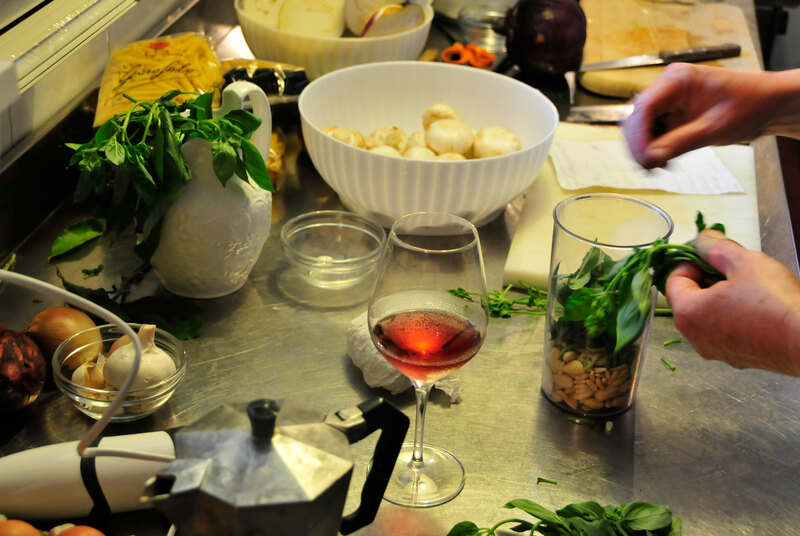 If good food, good wine and cooking are your passions, if a gourmet vacation is what you are looking for, then Intenso Cooking course is the solution for you. 8.00 pm Welcome dinner with introduction to the course program by your hosts. During each cooking lesson we prepair a full menu with aperitif, antipasti, first and second course, vegetables and dessert. After each lesson the prepaired menu is served to the participants in the restaurant. Each member of the course receives at the beginning of the holiday a detailed program of the week with the description of the recipes. At the end of the Cooking Holiday participants get a cd or pdf with the complete description of the recipes and the pictures made during the cooking courses. 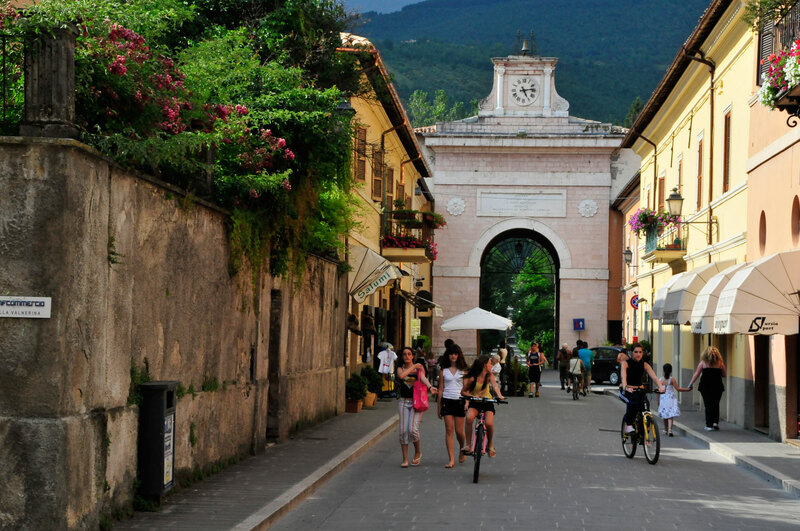 10.00 am Excursion to the local market at the historical centre of San Ginesio. At 5.00 pm Cooking course with Dinner. 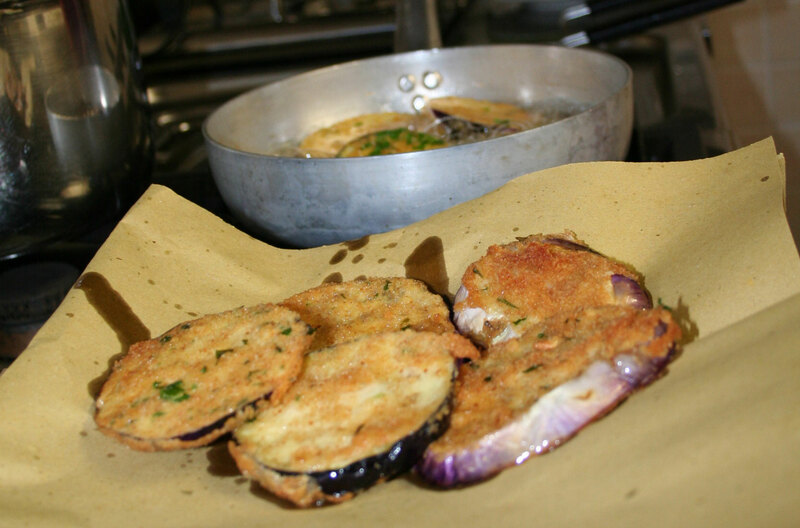 Cooking course menu: Parmigiana di melanzane classica, Varianti regionali, e parmigiane grigliate di melanzane e zucchine, Insalata di farro o grano, Strozzapreti d'estate in bellavista, Saltimbocca al ramerino, Verdure gratinate, melanzane peperoni, zucchine, pomodori, Dolce di riso o farro cacao amaro spezie e pepe. 10 .00 am Excursion to the local market at the historical centre of Tolentino. At 5.00 pm Cooking course and dinner. 10 .00 am Excursion to the local market at the historical centre of Macerata. At 5.00 pm Cooking course with dinner. 10 .00 am Walking Tour in the Gola di Fiastrone. At 5.00 pm Cooking course with dinner. 10 .00 am Cooking course preparing fish for lunch at 5.00 pm Cooking course with fish dinner. The mentor of The Intenso Cooking Course is the Italian Chef Ennio Barbieri and collaborators. The classes are held in English at the Caravanserraglio agriturismo. The maximum number of people for each group is eight, to guarantee our guests a personal entertainment and a good service. Someone have said: we are what we eat. We can say that we are so lucky that we eat with all ours senses, with our mouth, with our eyes and with our ears and with the complete atmosphere that surrounds us. We do not simply feed ourselves. We try to take care of ourselves and of our guests. This will be the topic, this will be the philosophy of the courses: to use the best ingredients and preparing food with care. We will use the best products that come from organic farms, and we will chose all the products are with the greatest care. Particular attention and space for vegetarians recipes. The meat-products are carefully selected and they come from the local producers. Also the different kinds of cheeses, vegetables and the home-made pasta's are of the highest quality, with a view to a well balanced diet. The wines that we serve are selected and mainly local. The dining room of the restaurant is maintaining it's rustic and warm atmosphere with wooden floor, furniture and ceramics, together with the informal presentation, form the backdrop for the food that is well taken care of. 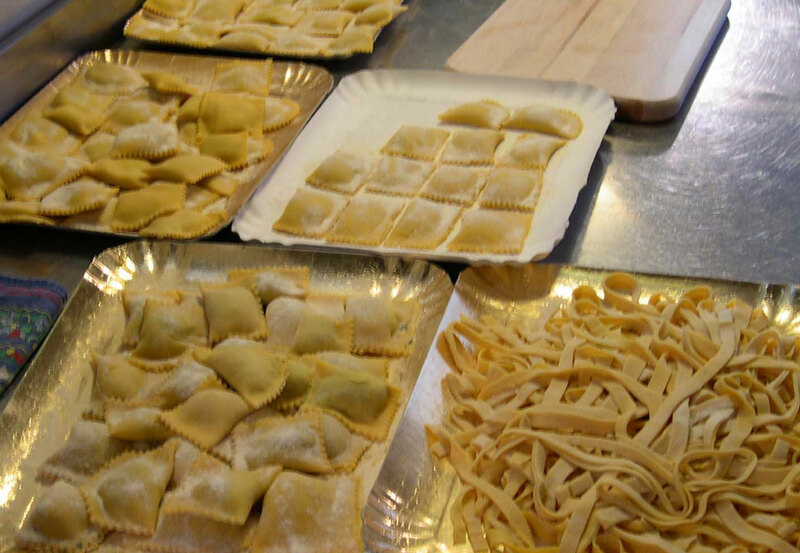 Than just enjoy an Italian cooking course with us!